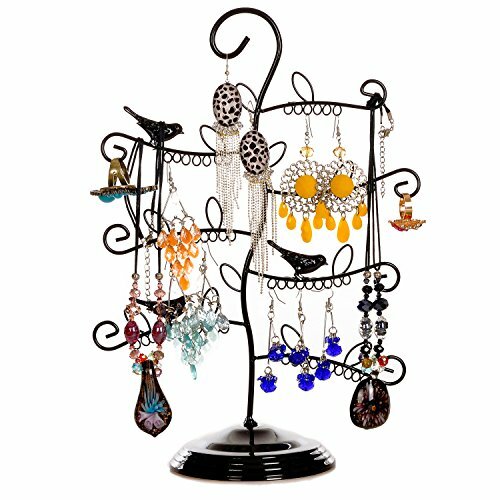 An astonishing and one of a kind piece of craftsmanship, this gorgeous and shiny jewelry holder will store your items of jewelry in a dainty and fashionable manner! 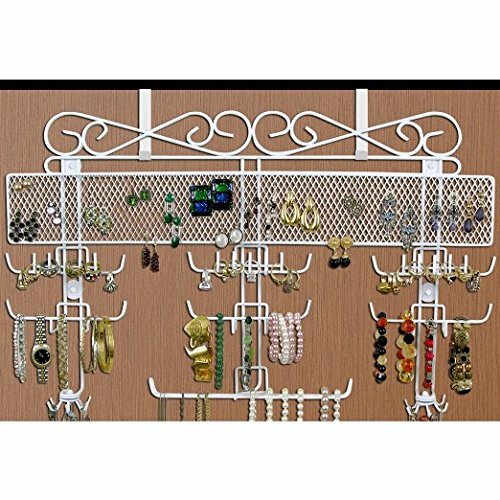 This beautiful product has been manufactured out of strong and resistant power coated iron that is also rust proof. It is available in two colors so that you can easily match it with your interior decoration. You can either get the elegant black version or the immaculate and bright white one! The product features two strong and large holders, a set of hooks and an upper tray holder that is more than ideal to keep important things in your sight! 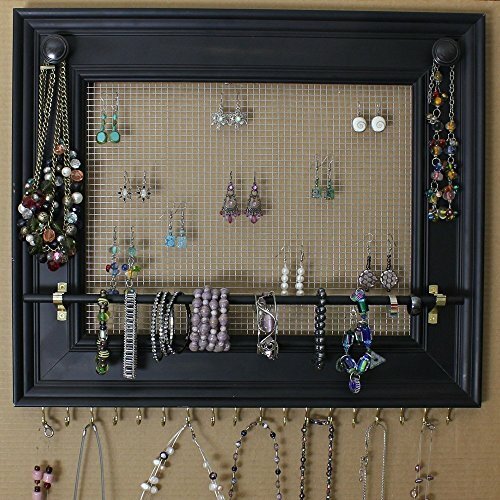 Per total, the holders and hooks can readily accommodate up to 75 pieces of earrings, rings, pendants, bracelets, brooches and so on and so forth! 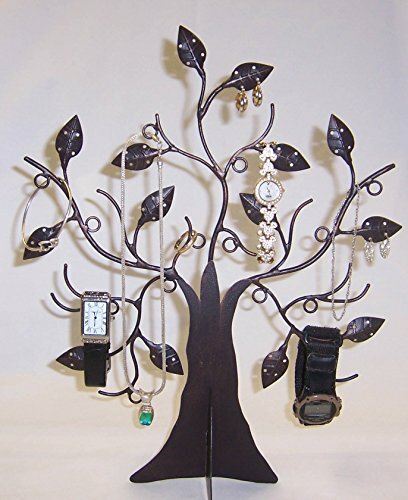 This dainty and stylish product will both decorate your home with your beautiful items of jewelry and also save up a lot of valuable space around the house! Not only that, but it will also safely keep your jewelry collection in one place where you can always find them, therefore avoiding misplacing or losing them! 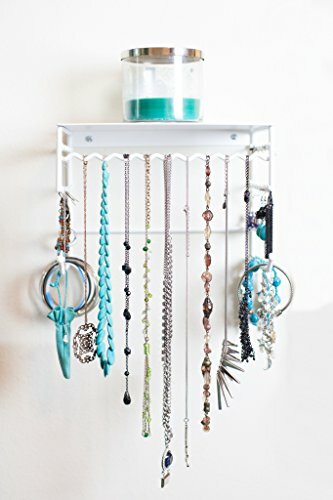 Purchase this unique and appealing jewelry holder and you will definitely be satisfied with its abilities the moment you get it! Be it for yourself or intended as a gift, it’s surely going to be worth it! The overall dimensions of this product are the following: width 10 inches x height 7 inches x depth 6 inches and its weight is 2.2 lbs.